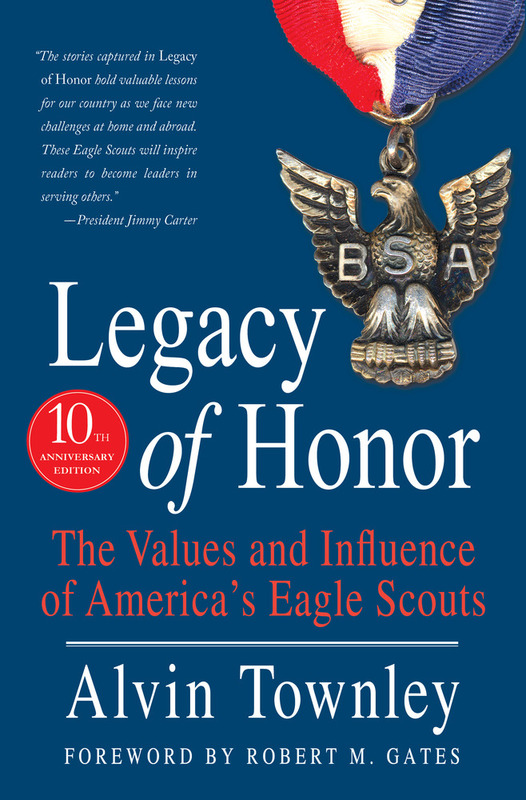 Over the past century, America’s Eagle Scouts have earned a reputation for service, virtue, and leadership that is recognized throughout the world. But few people realize the full extent to which Eagle Scouts have made a mark on American history. They have served as astronauts, soldiers, politicians, and businessmen, but they have also been the fathers, brothers, Scoutmasters, coaches, and other role models who have played an integral part in American life. Alvin Townley set out across the country to hear the stories of these Eagle Scouts. He spoke with individuals from every region, of every age and every background, some of whom have risen to fame as public figures, while others have left a lasting impact outside of the spotlight. 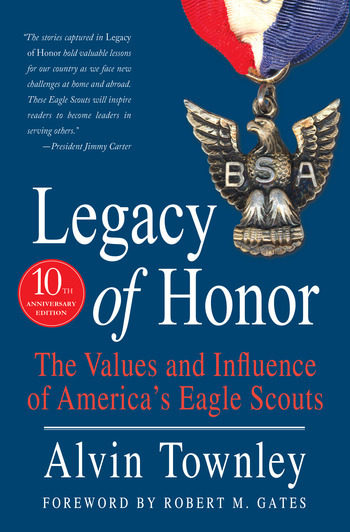 The Eagle Scouts who share their experiences include Michael Bloomberg; J. W. Marriott, Jr.; Bill Gates, Sr.; Ross Perot; Defense Secretary Robert Gates; Treasury Secretary Hank Paulson; Supreme Court Justice Stephen Breyer; and Capt. Jim Lovell of Apollo 13, to name just a few. The book also explores the virtues of a Tuskegee Airman, a Vietnam War POW, a September 11 NYPD hero, a crew of Hurricane Katrina relief workers, and a host of others from every walk of life. During his journey, Alvin discovered stories of character, courage, and inspiration that belong not only to Eagle Scouts but to all Americans. These stories form the heart of Legacy of Honor and offer us a chance to appreciate the profound impact that Eagle Scouts have had on American history and the lasting role they will play in our country’s future. ALVIN TOWNLEY is the nationally acclaimed author of Spirit of Adventure, Fly Navy, and Defiant. An Eagle Scout himself, he lives in Atlanta, Georgia, with his wife, Suzanne, and travels often for speaking events and adventures around the country.